We are founded on the need for excellent care when the original infusion company does not meet the needs of the patient and family. The foundation of Silberhorn Health is high quality, high standard continuity of care. We deliver service above and beyond what the situation calls for. Seasoned nurses meet the needs of the patient, and the loved ones, surrounding the patient in relation to the disease at hand. 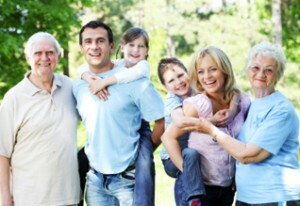 Our belief is that chronic illness involves the entire family, along with the patient. We are liaisons with the entire health care team coordinating continuity of care for all involved. Seasoned nurses have experienced Pediatric care, Adult care, and End of Life care at different times throughout their careers. We have insights and experience beyond the surface of health care needs. We at Silberhorn Health are dedicated to excellence.